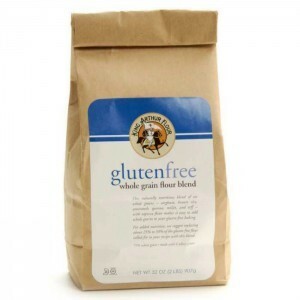 Gluten-free flour blends have come a long way in the last decade. Originally they consisted of a combination of flours from refined gluten-free grains and starches, and you had to add xanthan or guar gum to get an edible baked good. Recipe developers came up with charts to tell you how much gum to add. Too much and you’d have a rubbery mess. Too little led to a crumbly disaster. Then, as packaged blends grew in number and variety, baking mix companies started to include the gum right in the mix to make gluten-free baking easier. When a flour blend is made from certain types of gluten-free flours and starches, xanthan or guar gum is often used to build the structure that would usually be created in baked goods by the gluten in wheat flour. Now more flour blends that don’t contain gums are being offered, driven by demand from those who want to avoid additives in their food and those who have sensitivities to xanthan gum in particular. Cookbooks and blogs devoted to gum-free, gluten-free baking are also becoming more common. “If a recipe is well constructed, it doesn’t necessarily need gums to hold it together. Gum-free, gluten-free recipes can be just as wonderful as their gluten-loaded counterparts,” says Elizabeth Barbone, author of Easy Gluten-Free Baking and How to Cook Gluten-Free. Nancy Cain, founder and co-owner of Against the Grain Gourmet, just published a cookbook filled with gum-free recipes. She says that in the food manufacturing world, there is a move toward clean labels. Against the Grain products and recipes in the cookbook use a combination of tapioca starch and buckwheat. Allergic Solution, which specializes in flour blends free of the top 10 allergens, created a gum-free flour blend in response to consumer requests. “More and more people were asking us to do a blend that did not require any gums because they were developing sensitivities to them, specifically xanthan gum,” says Tammie Sarra, company president. Sarra relied on her chemistry background throughout the 18 months it took to develop Allergic Solutions blends. The flour blend Sarra settled on is made with fiber-rich sorghum and navy bean flours. Steven Rice, founder and president of Authentic Foods, says understanding the properties of the fiber found in plants is the key to creating a gum-free flour blend is. “I was able to create a great-tasting flour combination that supplied its own natural structure,” he says. In addition to being free of binders and common allergens, Authentic Foods’ new gum-free flour has an improved nutritional profile and flavor, Rice says. Even with some movement toward gum-free, gluten-free baking, the majority of packaged gluten-free mixes do contain xanthan or guar gum. Here’s a list of companies that make gum-free flour blends. 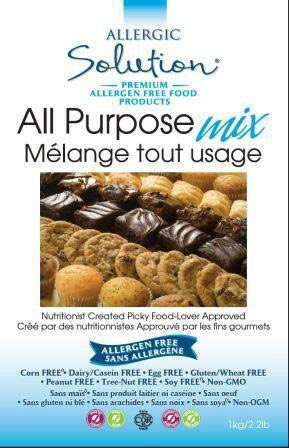 Allergic Solution’s all-purpose mix contains sorghum flour, tapioca flour and navy bean flour. The mix is designed as a one-for-one substitute for wheat flour in recipes. It contains 4 grams of fiber and 5 grams of protein per serving. 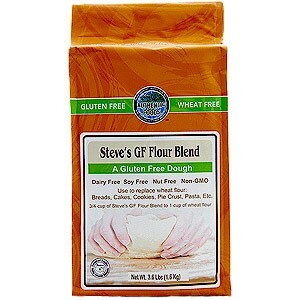 Authentic Foods just released Steve’s GF Flour Blend, made with rice, tapioca and millet flours, plus a fiber blend. It has 5 grams of fiber and 1 gram of protein per quarter cup. The company says the blend will create pliable dough instead of the more-typical batter-like consistency that results from gluten-free mixes. 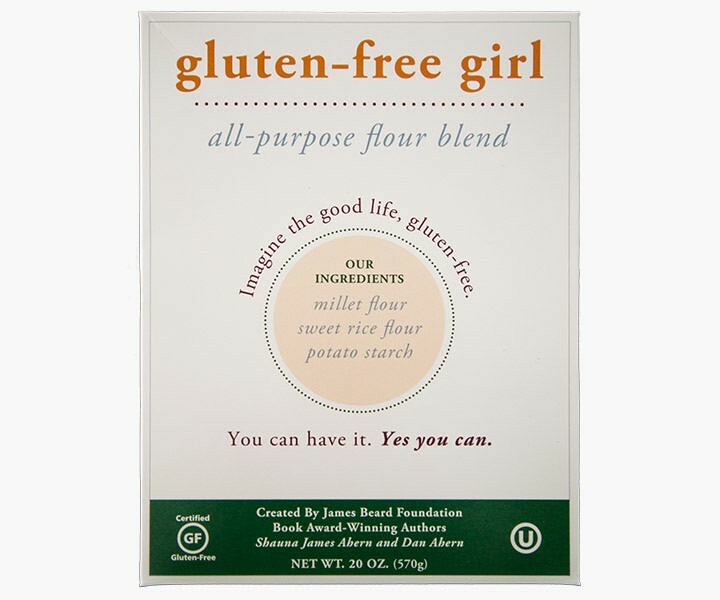 Gluten Free Girl, founded by cookbook author and blogger Shauna Ahern and her husband, Chef Danny Ahern, has two new gum-free flour blends poised to hit the market: Grain-Free Flour Blend, made with almond and buckwheat flours and arrowroot starch, and All-Purpose Flour Blend, made with millet and sweet rice flours and potato starch. The all-purpose blend is 40 percent whole grain. The Aherns, who publish gluten-free recipes on their blog and have written two cookbooks, stopped using gums in their baking four years ago. 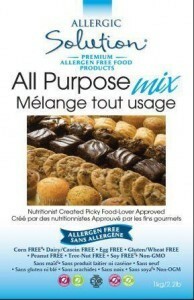 Their new mixes will also be free of the top eight allergens. 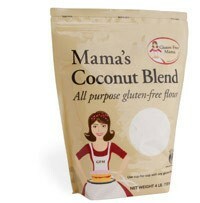 Gluten Free Mama offers two all-purpose flours free of gums: Coconut Blend and Almond Blend. The Coconut Blend flour contains white rice flour, tapioca flour, potato starch, coconut flour and sweet rice flour. The Almond Blend is made from white rice flour, tapioca flour, potato starch flour, almond meal flour and sweet rice flour. Both mixes average 2 grams of fiber and 3 grams of protein per 2-ounce serving and are designed to be used as a one-for-one substitute for wheat flour in recipes. King Arthur Flour has two contenders: Whole Grain Flour Blend and Multi-Use Flour Blend. The whole-grain blend is made with sorghum, brown rice, amaranth, quinoa, millet, teff and tapioca flours with 2 grams of fiber and 1 gram of protein per quarter cup. The multi-use flour contains rice flour, tapioca starch, potato starch, whole-grain brown rice flour, calcium carbonate, Vitamin B3, reduced iron, Vitamin B1 and Vitamin B2. On its website, King Arthur says the company’s mixes do not contain gums to enable consumers to pick xanthan or guar gum in recipes rather than to promote gum-free baking. Still the mixes are good options for those looking for gum-free blends to use in recipes that use psyllium husk or other gum substitutes. 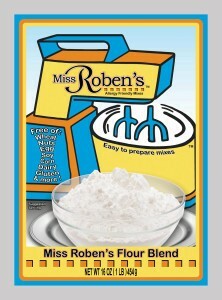 Miss Roben’s allergen-friendly mixes are back after a long hiatus. The company’s flour blend is made from white rice flour, potato and tapioca starches and contains 1 gram of protein per one-eighth cup. Package labeling details the absence of gums but notes that one may be needed with some recipes. 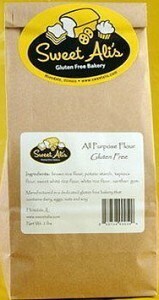 Sweet Ali’s Gluten Free Bakery’s flour mix contains brown rice flour, potato starch, white rice flour, tapioca starch and sweet rice flour, with more than 5 grams of protein and 3 grams of fiber per cup of mix. The mix was created by Ali Graeme, who runs the dedicated gluten-free bakery in Hinsdale, Illinois, and sells her baked goods in numerous locations in the Chicago area. 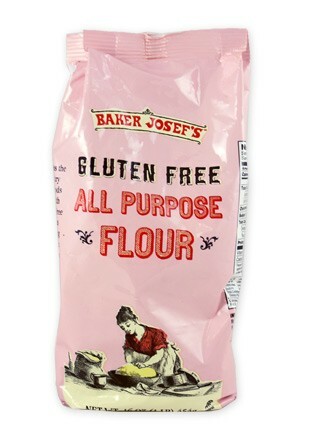 Trader Joe’s Baker Josef’s All Purpose Flour contains whole-grain brown rice flour, potato starch, rice flour and tapioca flour, with 1 gram of protein per quarter cup. Jennifer Harris, who was diagnosed with celiac disease in 1997, is a gluten-free consultant and product specialist. 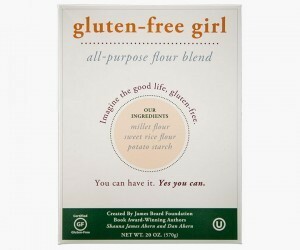 A gluten-free blogger, she also founded the Gluten-Free Go-To Guide, gfgotoguide.com.